Yiliang Peter Pang, more commonly known as Doublelift in competitive League of Legends, is a legend in his own right in the North American LCS scene. He is widely recognized as one of the best ADCs with his stunning mechanics. While he may trash talk other players, meme about and joke around, he is serious when it counts, thus being highly valued by teams all around. He has amassed a fair collection of earnings over the years – and the estimated total has now reached well over $140K according to some statistics. That said, there is no way that Doublelift simply amassed that meager sum as his entire income! Doublelift is likely worth millions, with a contract in excess of $200,000 USD a year, on top of earnings from streaming. Here at Esports.net, the open community network in the world of esports, we have reviewed Doublelift’s career to give you all the information you need. Read on to learn about his background, the roles he favours; the teams that this player has worked with, and what he has managed to achieve so far. 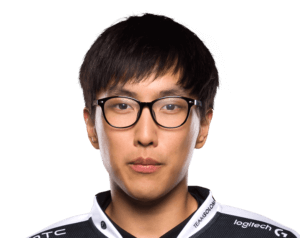 Doublelift is an American professional League of Legends player who resides in California. He started playing computer games as a child, quickly discovering that he had a natural talent for gaming. In 2011, Doublelift burst onto the esports scene in an official professional capacity when he was invited to join Counter Logic Gaming. The invitation was the result of an increase in prominence within the industry, and a collaboration with HotshotGG – which helped to get this American professional League of Legends player noticed. Since then, Doublelift has enjoyed great success with Team SoloMid – and is now considered one of the biggest players in the League of Legends industry. For much of his career, including that with Team Liquid and Team SoloMid, Doublelift has played a PRO AD Carry role. He has a number of favourite characters when he is in action in the world of League of Legends. These have included: Blitzcrank, Poppy and Lee Sin at the beginning of his professional career. Later, including the time spent with Team SoloMid, he has favoured Vayne, Lucian and Ezreal, all of which have helped the player to become a force to be reckoned with during major League of Legends events. Through his champion choices and overall aggressive playstyle, he is able to carry any team he plays on. While this may be seen as inconsistent, more often than not, he is easily able to dominant the bot lane with any support he is given. Doublelift currently plays for Team Liquid, who had sought the player’s assistance even whilst still being engaged with Team SoloMid. The League of Legends professional had been working with Team SoloMid from October 2015 till March 2017. From August to November 2011, Doublelift played League of Legends for Team Curse. Between July and August that same year, he also worked with unRestricted eSports. From March to July 2011, the player was also in teams Epic Gamer and Counter Logic Gaming. Doublelift had stayed loyal to team Counter Logic Gaming from November 2011 till October 2015, becoming stronger and more skillful as the years passed. During his early years, the young Yiliang, apart form building a strong reputation for the game, he had become infamous for his trash talking in pre-game interviews. In the more recent years, Yiliang Peng (Doublelift) as mentioned before was quickly picked up by Team SoloMid (TSM) after being dumped by Counter Logic Gaming (CLG). The LCS superstar did very well on TSM, some of the best results being: Second place in the 2016 NA LCS Spring Playoffs, First in the 2016 NA LCS Summer Playoffs and First in the 2017 NA LCS Summer Playoffs. During his break away from TSM’s starting roster in the 2018 Spring season, he moved to Team Liquid shortly, saving them from relegation. While TSM did extremely well in North America, they had continued to fall short in the world stage, consistently failing at groups. 2017 was no different, with the team being kicked out extremely quickly. This prompted TSM’s management to restructure the team, consequently, Doublelift was kicked in favor of G2 Esport’s bot lane duo. As Doublelift announced his departure from TSM, he was quickly snapped up by Team Liquid, a team Doublelift had been well acquainted with, having saved them from relegation not too long before. With Liquid in 2018, while his team has yet to achieve results as TSM did in 2016 and 2017, they managed to place within the top four, tied with TSM, which was no easy feat. With over seven years of experience under his belt as a veteran in the LCS scene, he has secured many achievements over the years. His first major achievement was with Epik Gamer, where he managed to place fourth in the first ever League of Legends World Championship. Prior to TSM, while he was a top tier player, his team failed to secure the top spot in NA. That said, he and CLG still did fairly well; Third in the 2014 NA LCS Spring Playoffs, First in the NA LCS Summer Playoffs, and a semifinalist finish in the IEM Season X – San Jose tournament. Including his performance in 2016 & 2017, Doublelift has proved himself with three first place finishes in the NA LCS Summer Playoffs.